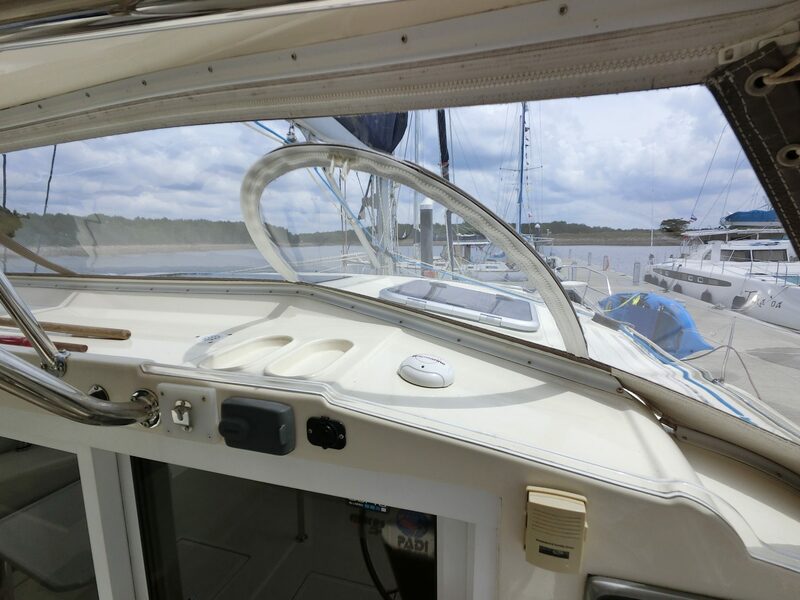 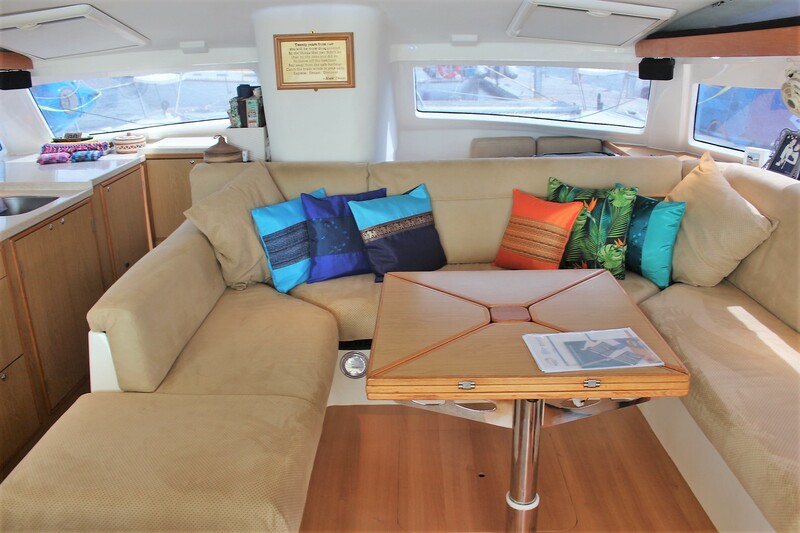 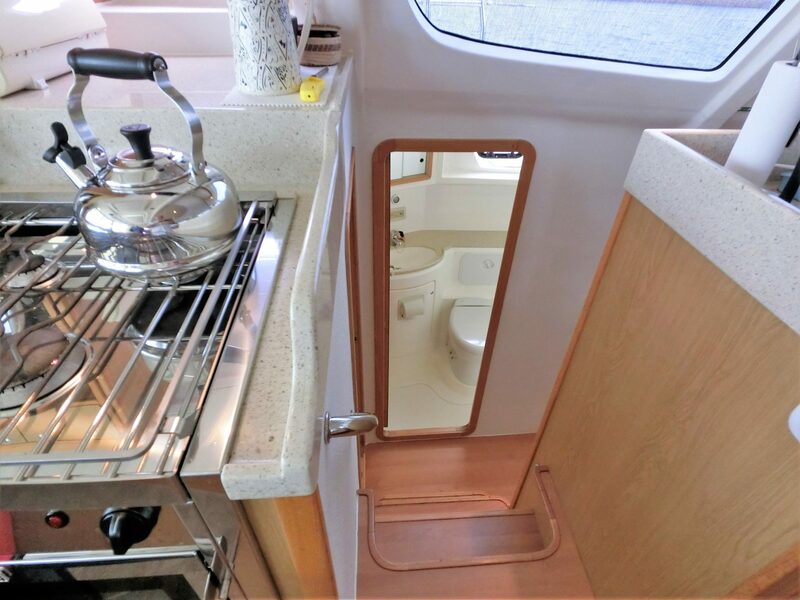 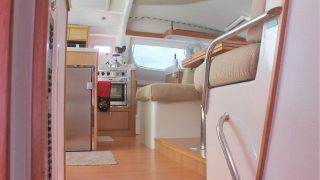 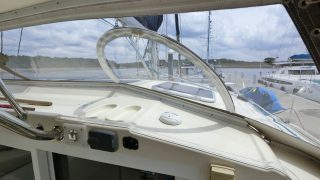 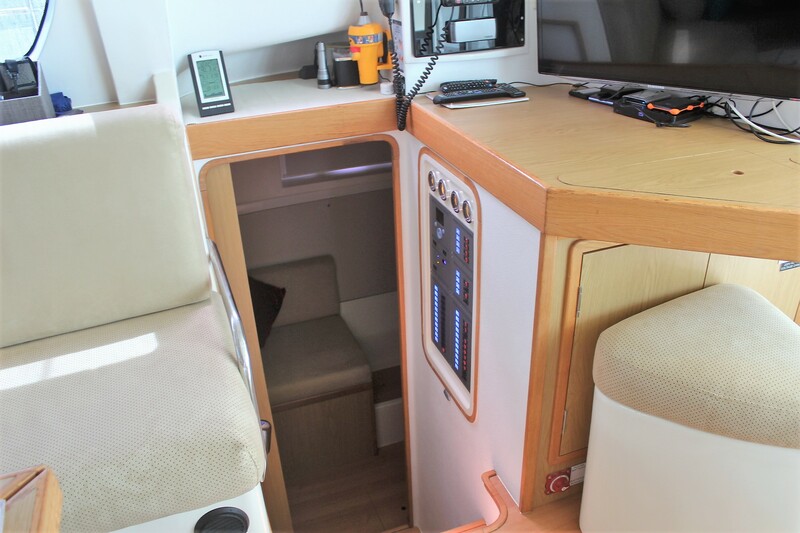 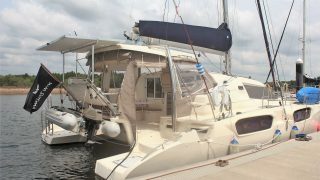 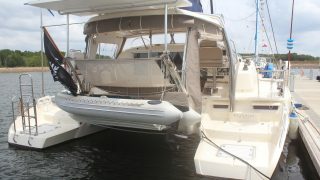 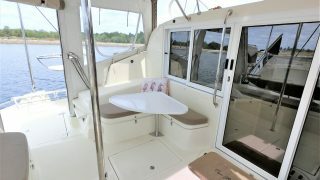 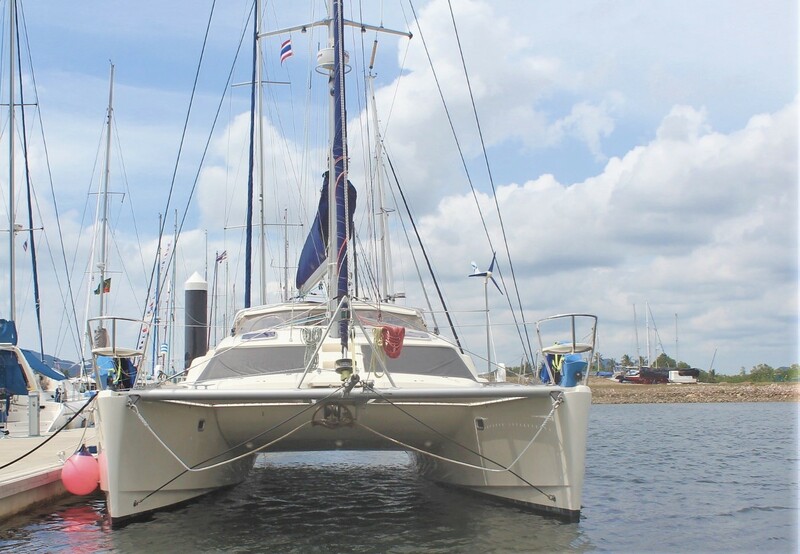 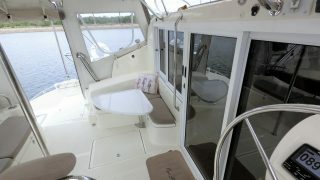 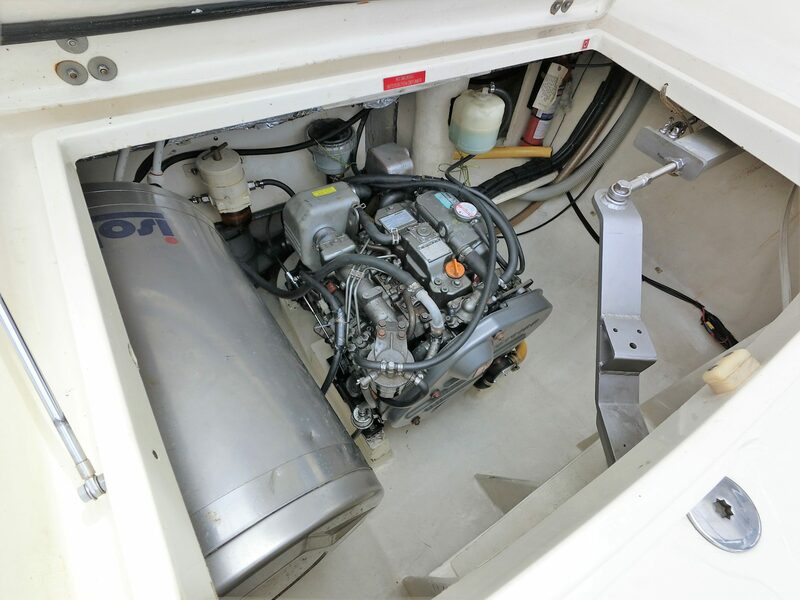 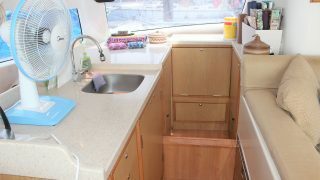 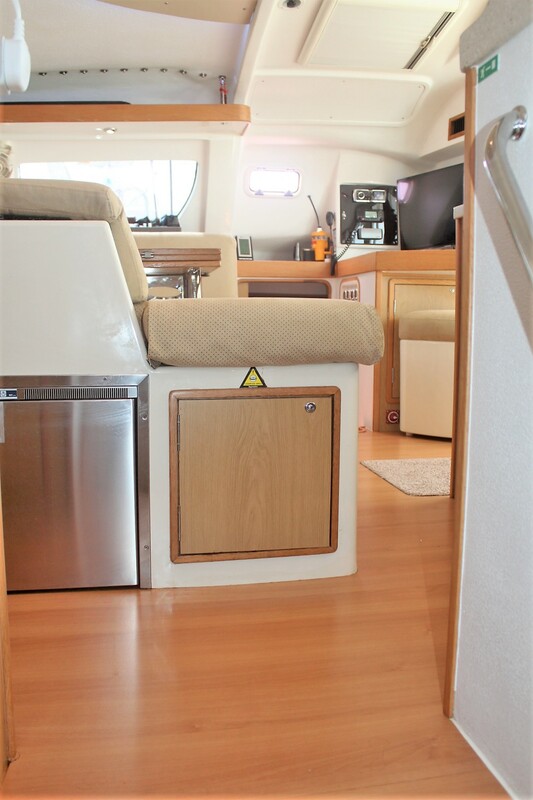 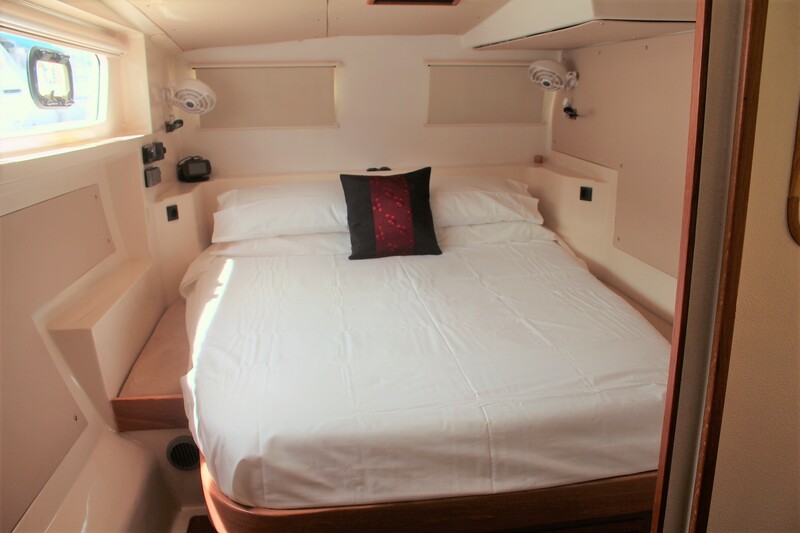 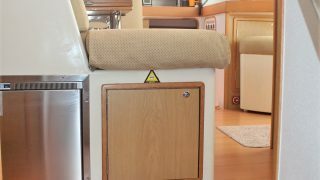 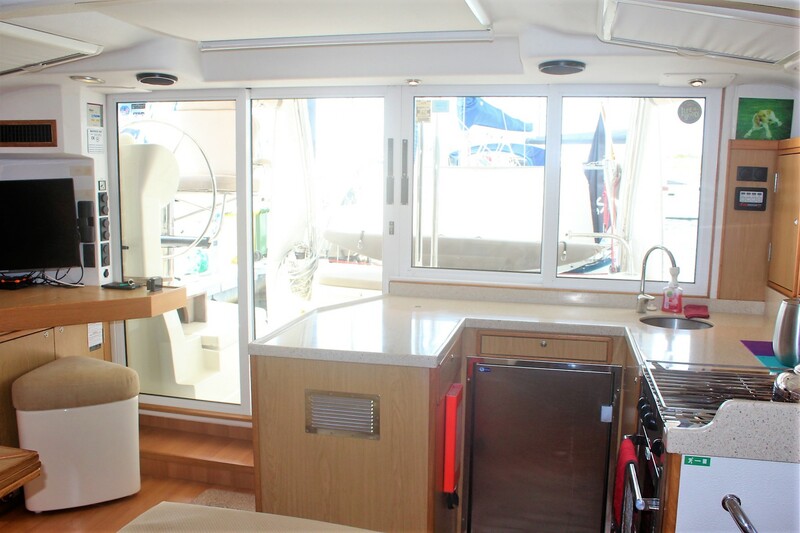 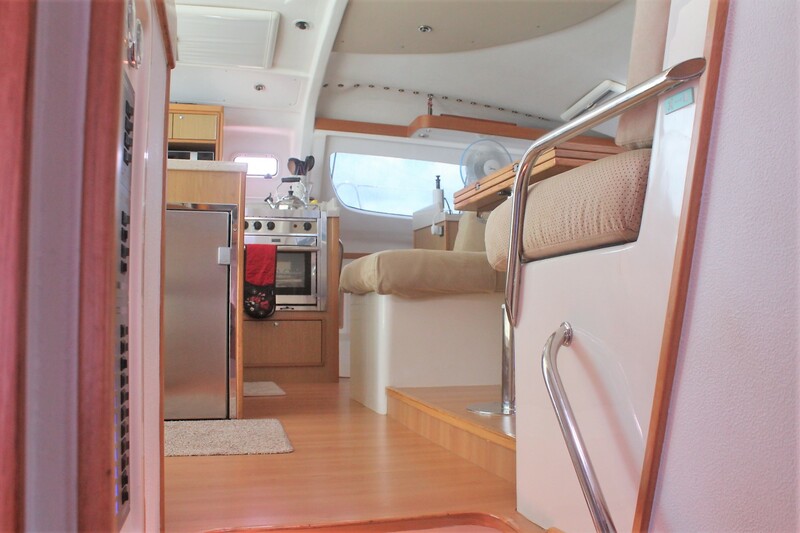 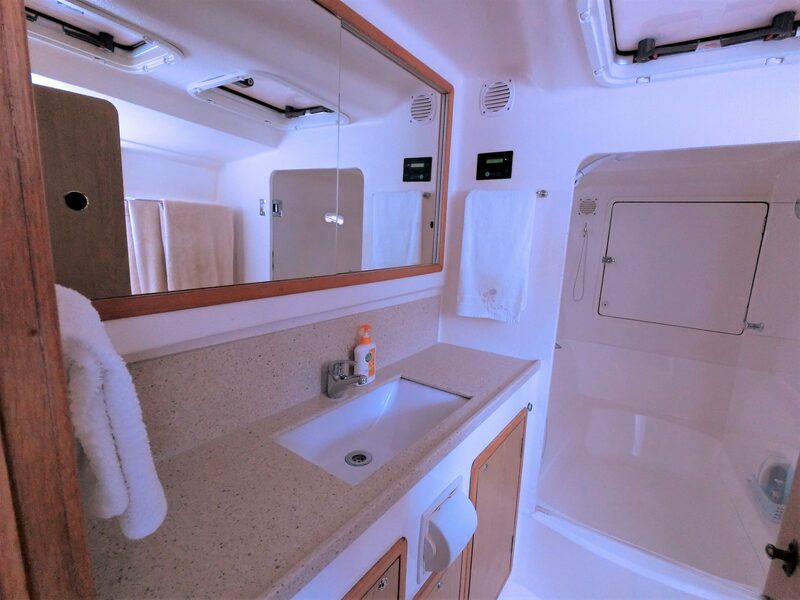 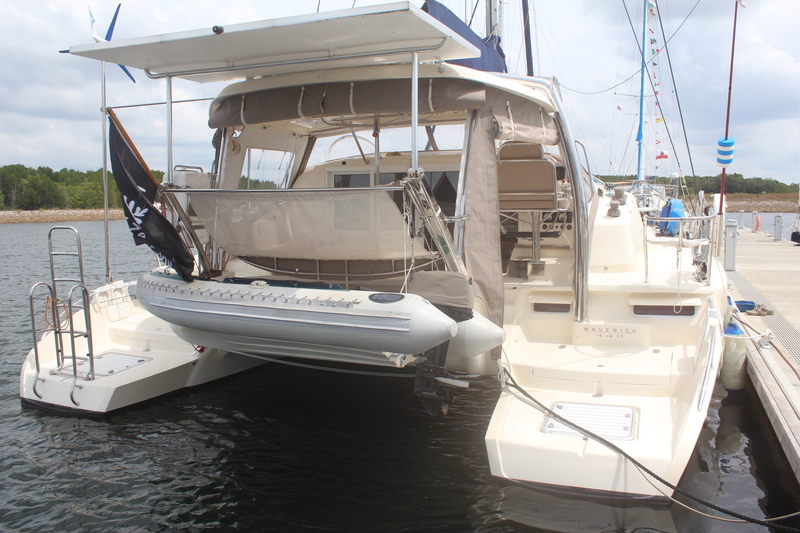 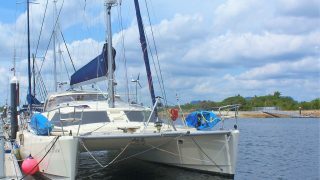 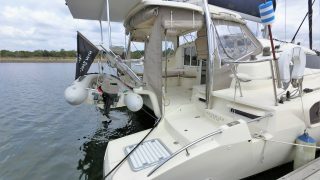 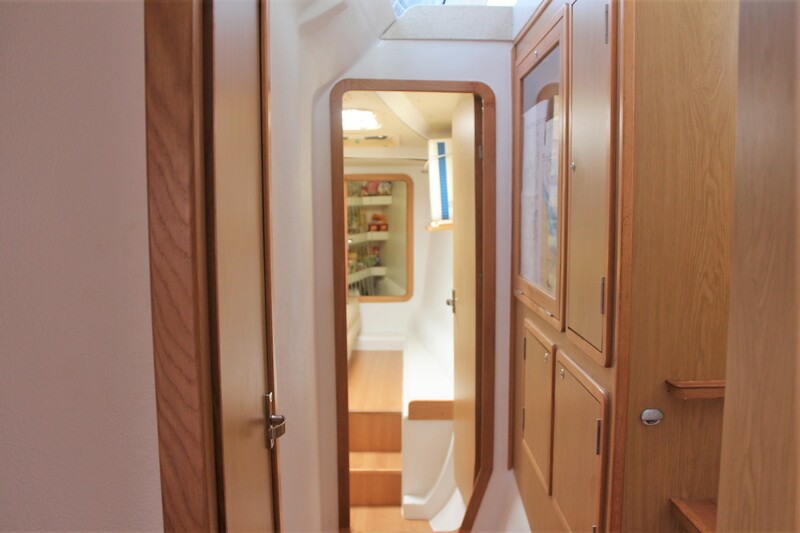 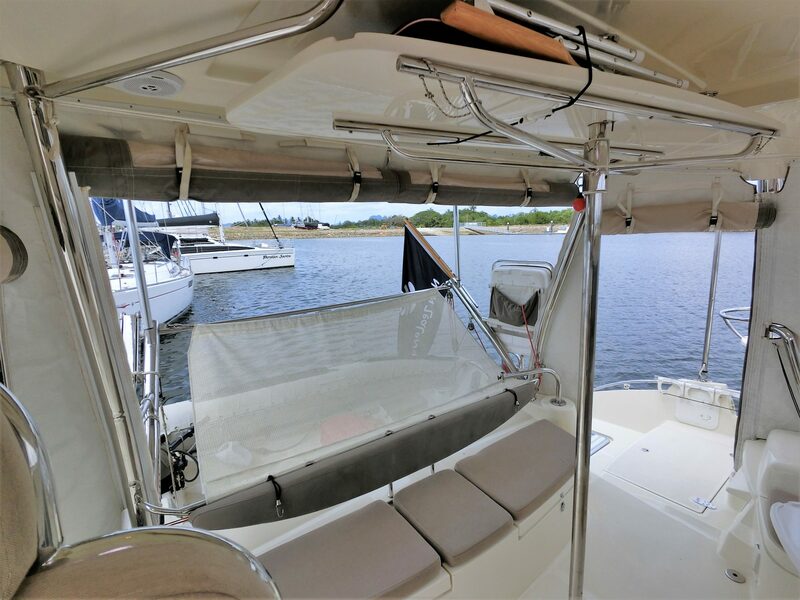 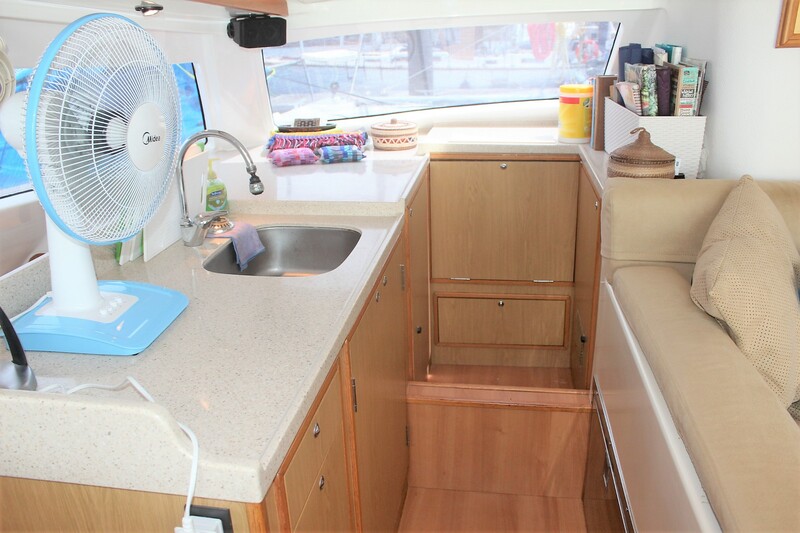 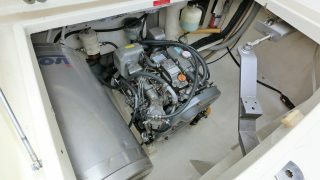 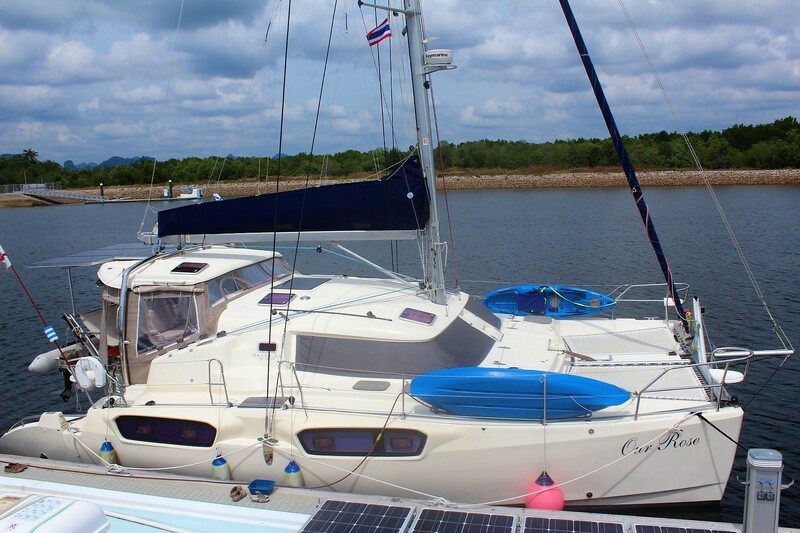 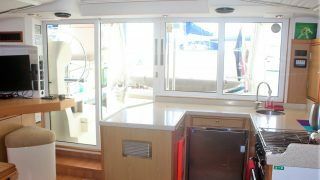 For sale a beautifully maintained 2013 Maverick 44 owner’s version sailing catamaran. 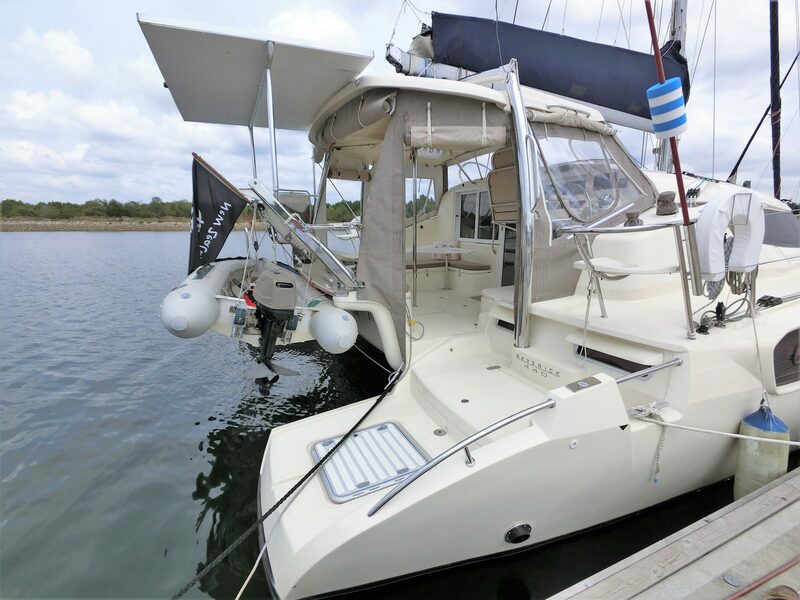 Our Rose has been owned by the same caring owners since she was built for them in Cape Town 6 years ago and has constant upgrades since beginning their global adventure. 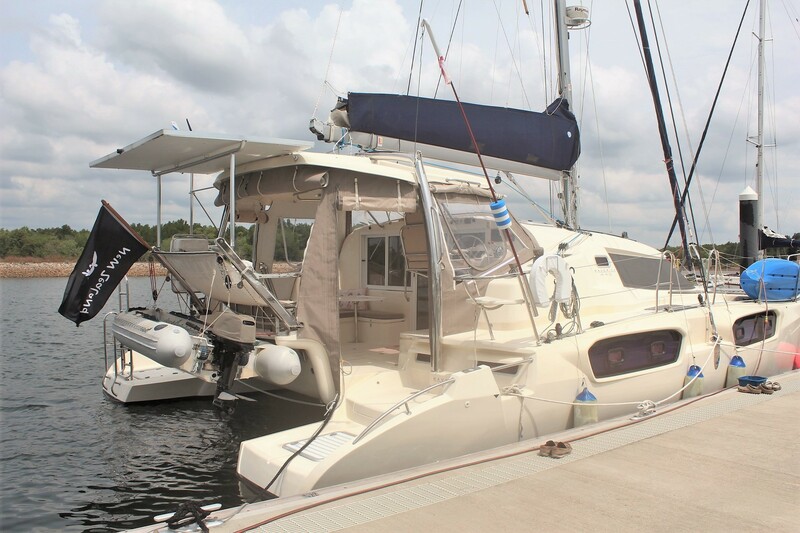 Time now to step ashore she is worth a lot more than the inventory or price suggests. 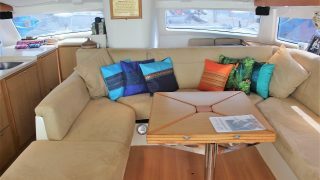 An awarding design her funky looks hide a very voluminous interior which is comfort personified. 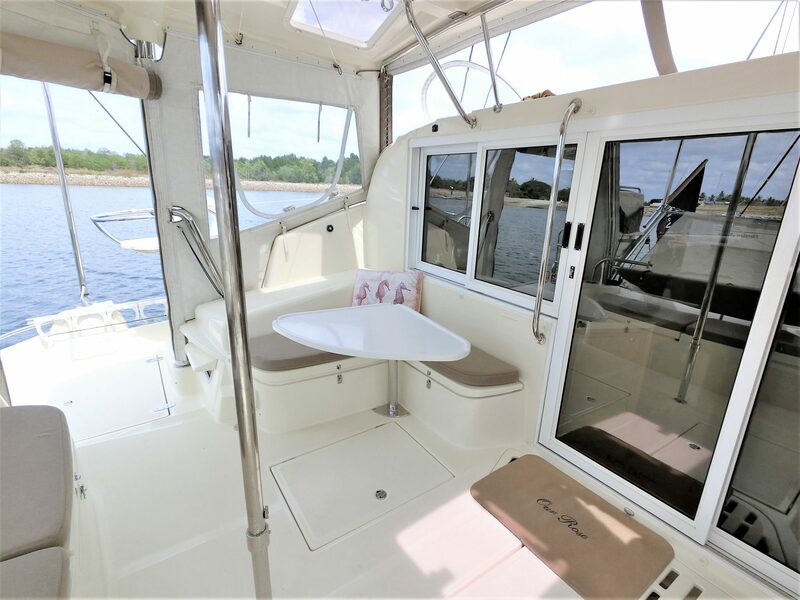 Maverick have a long order book so why wait and pay double for a new boat when you can have this lovely 44 right now in one of the world’s best cruising grounds? 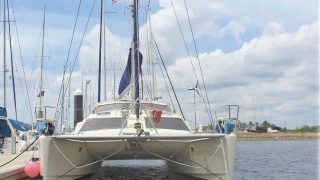 Available for delivery anywhere on the planet or travel in her yourself she will get there with style and turn heads in every port she sails into. 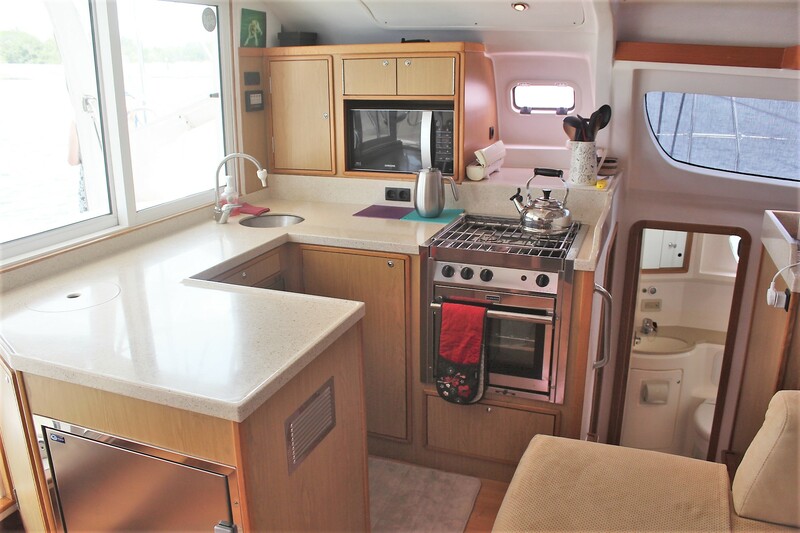 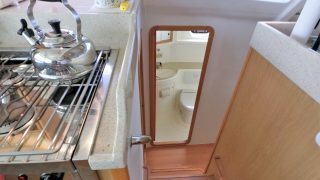 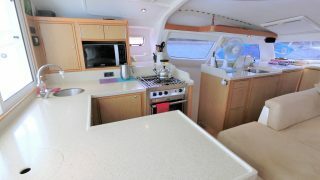 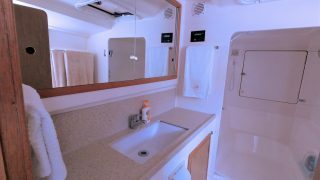 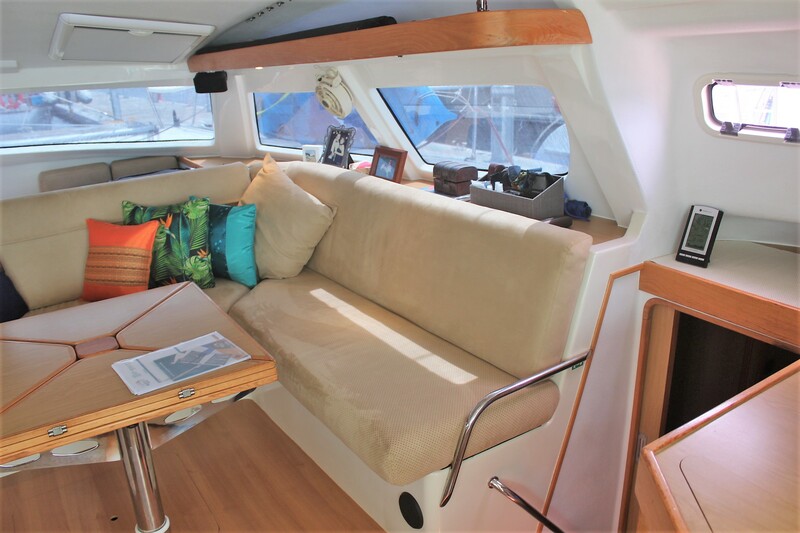 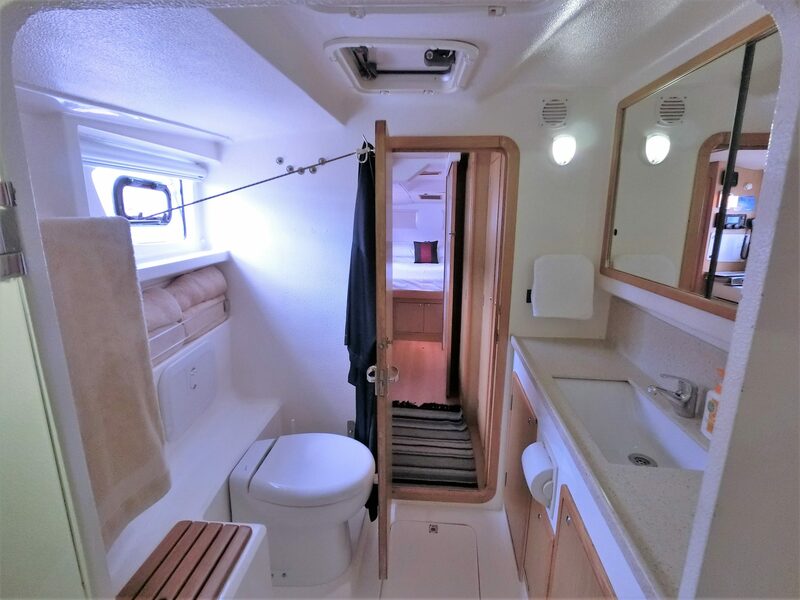 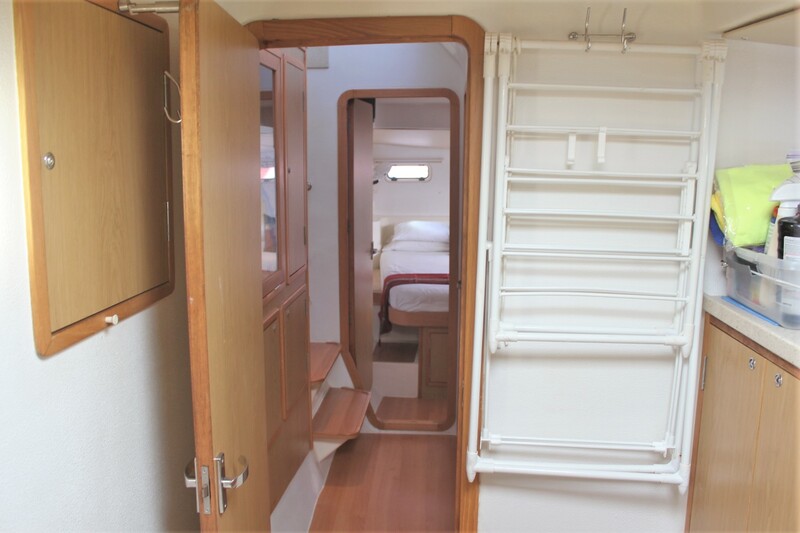 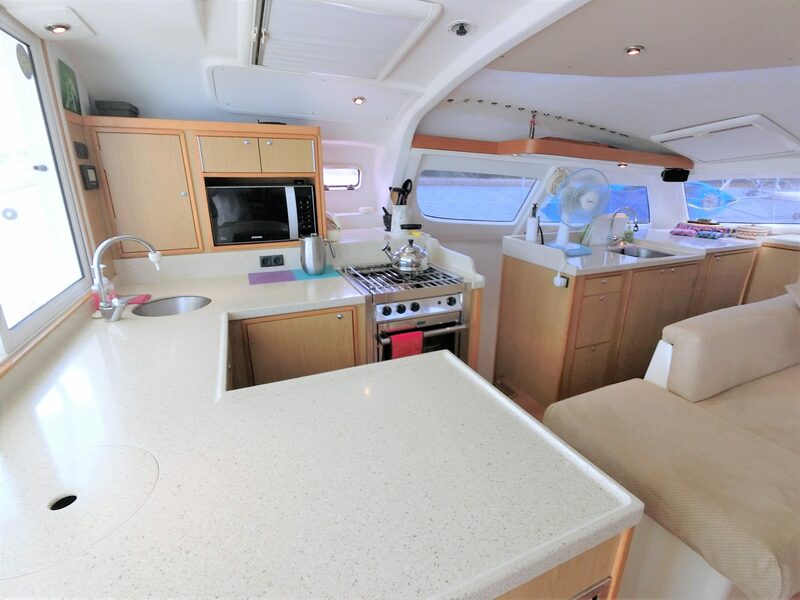 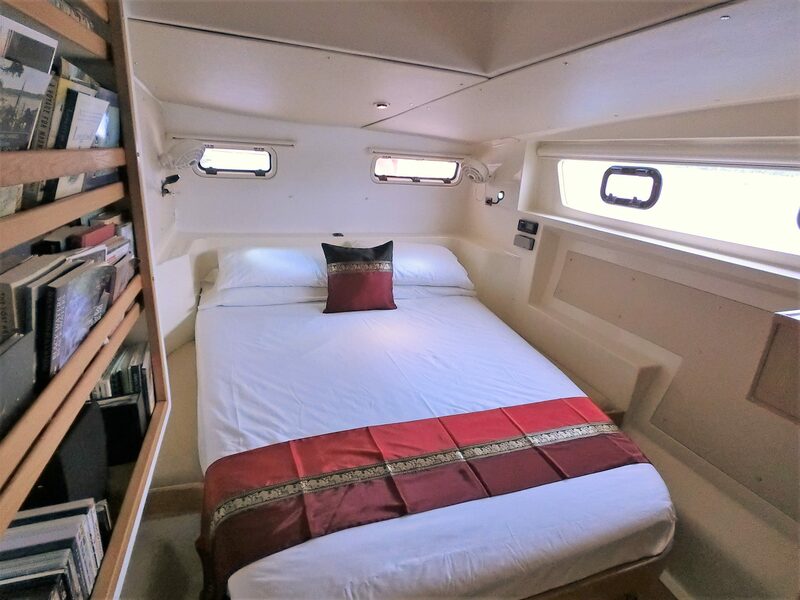 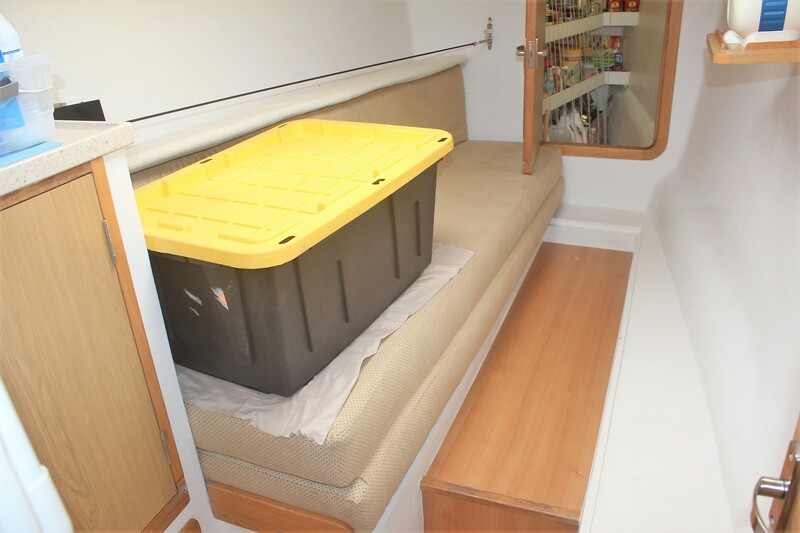 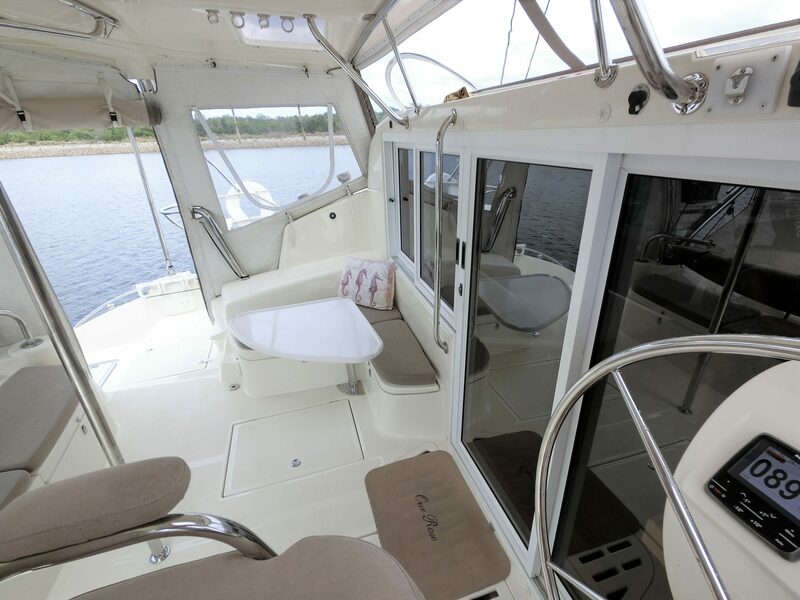 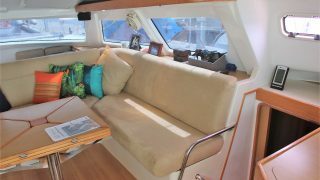 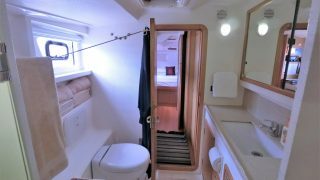 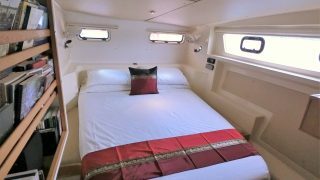 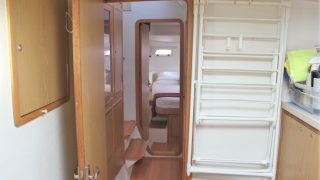 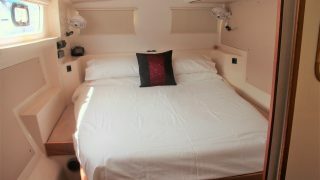 With a beautifully fitted out light drenched starboard hull devoted to the owners and 2 airy guest ensuites in the port hull along with huge bathrooms – we don’t call them heads on this cat – you will be very surprised when you step aboard how well thought out she is. 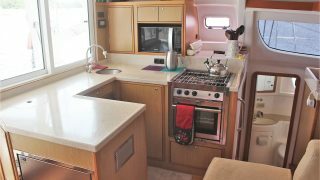 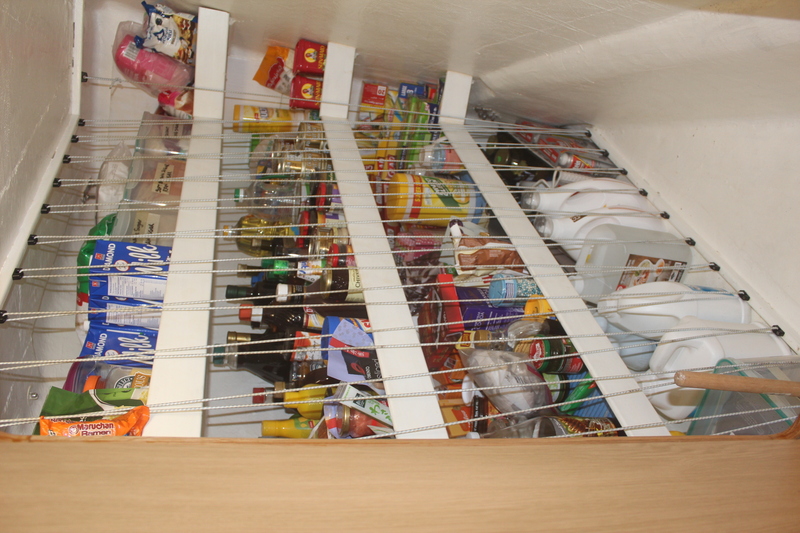 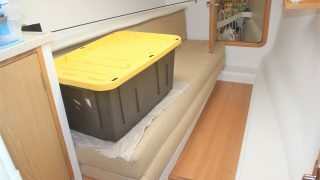 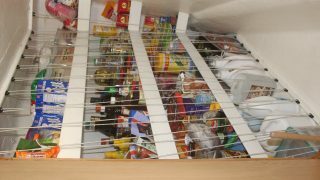 Aircons, generator, solar panels, the builders and owners have thought of everything, including a great pantry, dishwasher and washing machine. 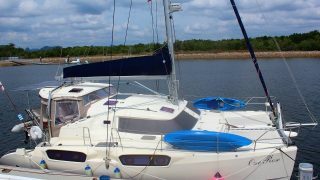 She is available to view in Langkawi, Malaysia with easy access from all the major airline regional hubs. 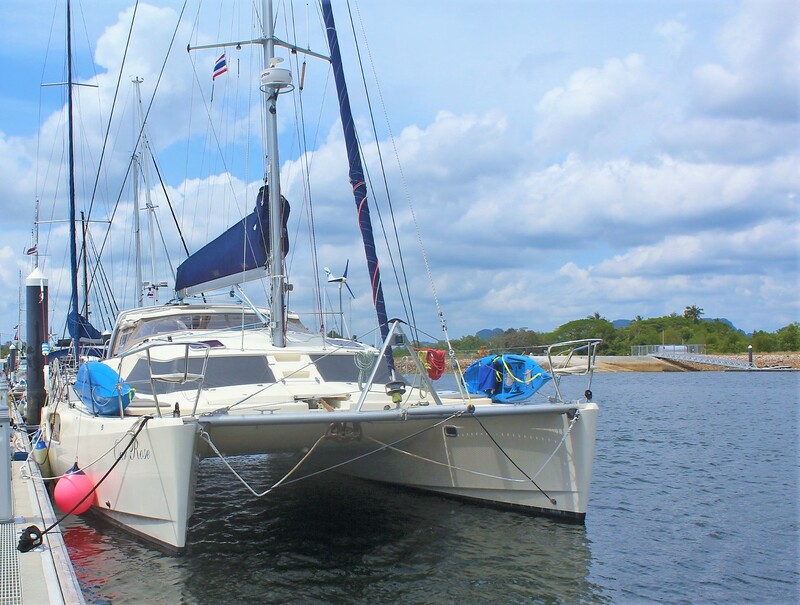 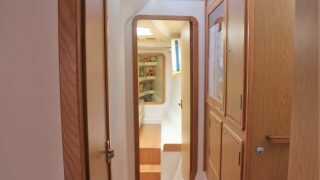 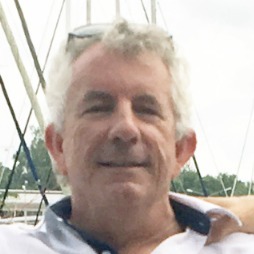 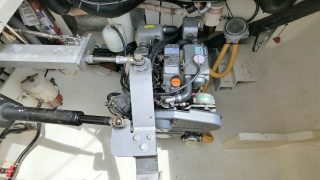 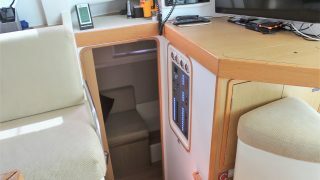 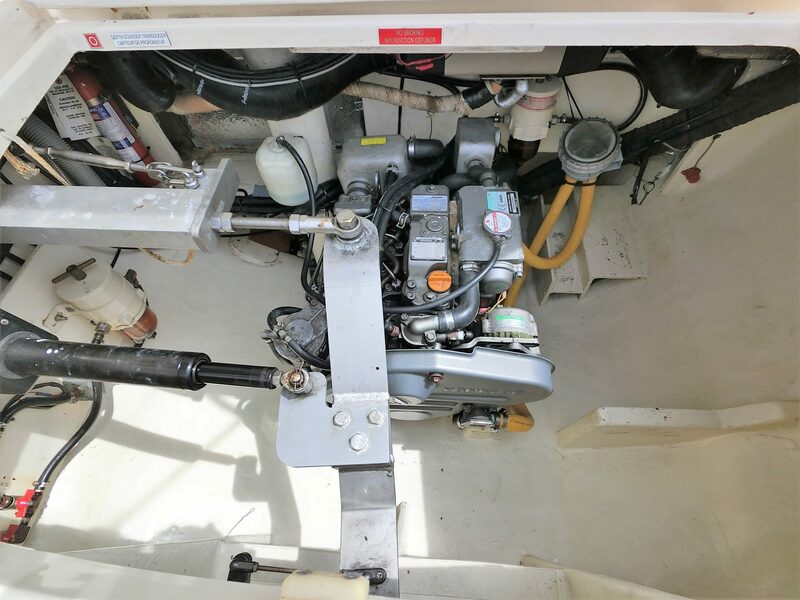 Please see below in the Multihull Solutions website links to her incredibly comprehensive sailing inventory and video walk around. 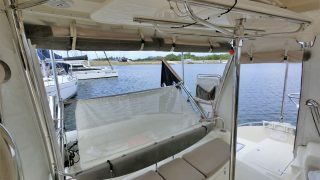 The owners are very serious sellers and offers close to listing price are invited.